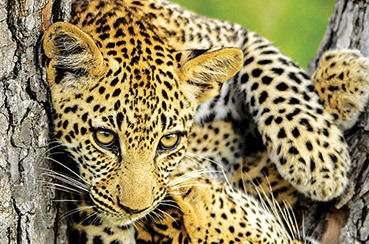 Being situated in the heart of Zululand we thought it only fitting to now and then share with our followers some of the interesting traditions, folklore and rich history of this beautiful area. Friday night pub crawls, Sunday afternoon braais (BBQ), Tuesday poker night; these are all ways that people use to come together to share stories and some laughs and generally have a good time. As Zululand is home to our Zulu Nation we decided this week’s topic would be the tradition of Zulu Beer; an age old practice used to bring people together to share in one another’s company, laughter and happiness. 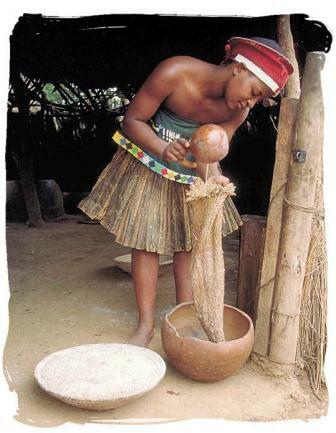 Made with sorghum and maize, “Utshwala” is a nutritional thirst quencher brewed daily by Zulu women. It has a very low alcohol content of about 2-3% and can even be used to soothe stomach ulcers. When invited to enjoy “Utshwala” by your host(ess), the brewer will perform certain rituals. First, the froth of the beer is skimmed off with a spoon and placed in a pot called “uKhamba” as an offering to the spirits who will always drink first. The beer is then poured into a hollowed out gourd “íNkheswa” and the brewer will take a sip in front of her husband and guests to show them that it is not poisoned. The host is next to drink from the pot to perform a quality check tasting and only once he is satisfied will the beer be offered to his guests. Guests will drink from the same pot and pass it around the circle always being refilled by the brewer upon its return to her, don’t you wish every host had the same idea. Should a guest reject an offer of “Utshwala” they are considered to be rejecting hospitality. Should you not be offered a pot of beer upon entering a kraal, leave quickly! Ground up maize and sorghum is cooked to form a thick porridge and then left to stand in a shallow basket, it is then boiled in water to make a milky soup after which it will be left to ferment for a day. On the third day the beer is filtered through a sieve and shared among community members, friends and guests. The alcohol-containing shells retained in the filtering process are fed to donkeys, chickens and other live stock often with some amusing results (Don’t try this at home). To get in the spirit of community, here is a recipe for “Utshwala” that you can brew and enjoy in the comfort of your own home. Good Luck folks! 1. Mix half the King Korn Mtombo with the maize meal in a bowl. Add 2l of boiling water and stir until you have a smooth paste. 2. Set aside to cool then cover with a lid and set aside in a warm place over night to sour (to begin fermenting). 3. Pour 2l of the remaining water into a large pot. 4. Bring to a boil then take off the heat and work in the soured mixture, stirring constantly. 5. Place back on the heat, and cook, stirring constantly, until boiling. 6. Continue cooking the mixture for 60 minutes, until thick then take off the heat and set aside to cool. 7. Add 8l of the remaining water (cold) then mix in the remaining King Korn Mtombo. 8. Turn into a fermenting bucket (traditionally it’s made in a calabash) then cover with a lid and set aside for between 2 and 3 days to ferment. 9. Line a fine-meshed sieve with a double layer of muslin and pass the beer mixture through this. 10. Set aside to settle for 30 minutes then ladle into mugs or glasses and serve.